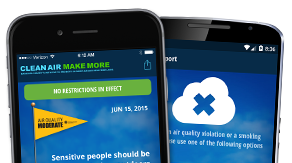 Help Keep Ozone Away, Commit to One Day! There is one thing that everyone who lives and visits Maricopa County has in common. We all breathe air. The average adult takes about 15 breaths per minute, inhaling nearly two gallons of air. With 21,600 breaths per day that equals 2,880 gallons of air each day. Maricopa County Air Quality Department is asking everyone to help keep our air clean and our residents healthy. Watch the video to learn what you can do to help take care of our air. 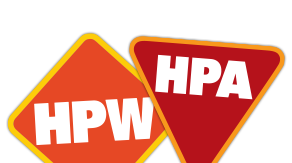 Get email and text alerts for High Pollution Advisories, Health Watches and other Maricopa County clean air updates. 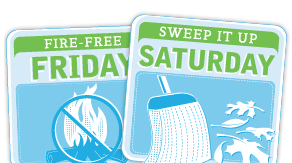 Make a significant impact on the level of air pollution in Maricopa County and contribute to clean air all week long with these simple, daily actions. 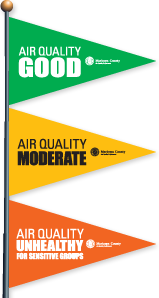 In an effort to raise Maricopa County and metropolitan Phoenix air quality awareness and encourage behavior modification based on air quality conditions, Maricopa County Air Quality Department has initiated an Air Quality Awareness “Flag” Program to increase public and business community recognition of the Air Quality Index rating system. The intent is to highlight the need to take responsible measures to control air pollution during periods when Metropolitan Phoenix air quality is degraded.